Firefox 21 is due to officially launch on Tuesday, but you can grab the desktop version now from Mozilla’s servers here: FTP. If you prefer to wait for the official launch, keep your browser pointed to Firefox.com. Soon after it arrives tomorrow, Mozilla will also push it out via the browser’s automatic updates. NEW: Enhanced three-state UI for Do Not Track (DNT). NEW: Firefox will suggest how to improve your application startup time if needed. NEW: Preliminary implementation of Firefox Health Report (see FAQ). CHANGED: Ability to Restore removed thumbnails on New tab Page. CHANGED: Add-ons History API removals in Places. CHANGED: CSS -moz-user-select:none selection changed to improve compatibility with -webkit-user-select:none (bugs 816298). CHANGED: Graphics related performance improvements (bugs 809821). CHANGED: Removed E4X support from SpiderMonkey. 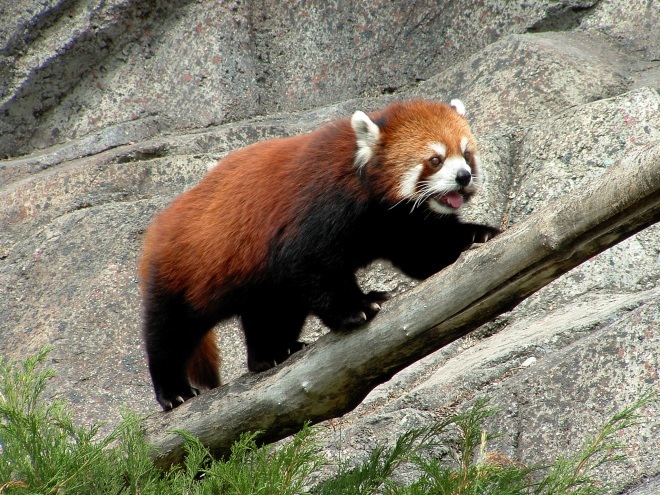 DEVELOPER: Integrated, Add-on SDK loader and API libraries into Firefox. HTML5: Added support for <main> element. FIXED: Some function keys may not work when pressed (833719). NEW: Shipping Open Sans and Charis fonts for Web Content. NEW: Ability to save media files on long tap. CHANGED: Polished UI based on Holo theme. CHANGED: Graphics related performance improvements (bug 809821). DEVELOPER: DOM/content implementation for <input type=’time’> Associated bugs. 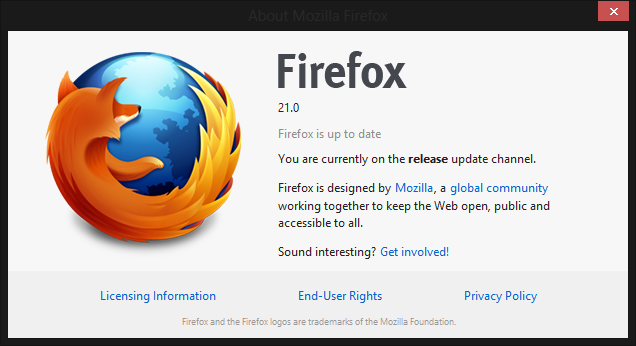 We will update you with more information (including the official changelog) when Firefox 21 officially launches. In the meantime, if you’re a Web developer, you may want to check out the Firefox 21 for developers page.